Before we look at the self-fuelling cycle of stress, first we need to understand that the stress centre or limbic system is a very basic part of the brain. Situated deep in the centre of the brain, science shows us that this collection of structures in the brain hasn’t really changed much in thousands of years. The stress centre hasn’t change much in thousands of years! The rest of the brain has developed and evolved around it, but the limbic system has remained similar in it’s structure, to how it was for our ancestors many years ago. So this part of the brain has definitely helped our species to survive, by triggering a “stress response” also known as the fight, flight or freeze response, in reaction to a real or perceived threat. So when we came across the mountain lion, the poisonous snake, or walked too close to the edge of the cliff, the stress response would fire, triggering a whole range of physiological / chemical changes in our system to help prepare us to fight, flee, or freeze in a situation that was perceived as dangerous. Fast forward a few thousand years and now this ancient fight, flight, freeze response is triggered by other things, like… the business, the job, the deadlines, the team, the finances, the relationship, the kids, the economy etc. etc. When you consider the amount of information we’re all receiving, the communication we’re all involved in, and the level of overstimulation of this basic part of the brain, it’s no wonder things can get way out of balance. So when we’ve been under stress for some time, the whole process typically develops into a self-fuelling cycle, where the symptoms of stress cause further stress, and then we easily become stuck in this destructive cycle. 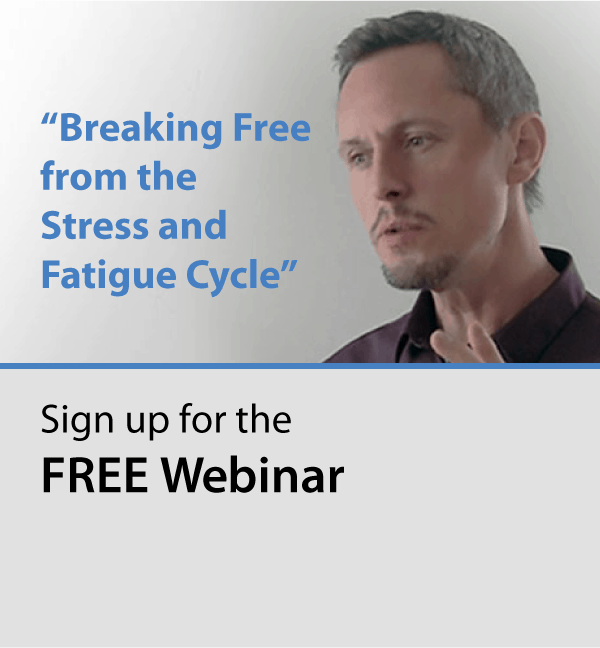 Physically, the changes that take place and show up as the symptoms of stress – physical pain and tension, headaches, migraines, shallow breathing, digestive issues, poor quality sleep, wired feeling in the body, tiredness and fatigue etc etc, are all stressful to experience, and so further feed the stress cycle. Emotionally, whilst under stress, we become far more sensitive and may find ourselves reacting or overreacting. These are emotional reactions can take longer than we might expect to clear from our system, only to find ourselves going into the next reaction/overreaction. This increased emotional sensitivity, caused by stress, then creates even more stress chemistry, further fuelling the stress cycle. Psychologically, whilst under stress the nature of our thoughts actually change. At a subconscious level, the system feels in danger, and so we become far more vigilant – on the look-out for other potential dangers. This state of high vigilance shows up as increased mind chatter, along with more “what if” thoughts, what if this happens? What if that happens? What if things turn out this way or that way? What if he says that? Or she does that? These types of thoughts are often accompanied by an internal movie or representation of what could happen in any given situation. The outcomes we imagine are usually challenging, and although they are just imaginations, the stress centre picks them up as potentially real, and so prepares our system for a fight, flight or freeze stress response, producing even more chemistry which further fuels the cycle. Maybe it’s becoming clear now, how the symptoms caused by stress, then create even more stress, setting up the perpetual cycle. It’s like the needle on the dial has gone into the red and got stuck there. 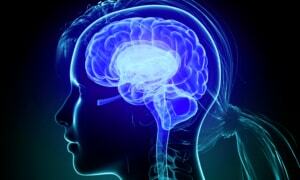 Stress steals energy from some body systems, whilst suppressing and disrupting some others. This is all manageable in a short term stress response, in order to get us out of danger, but, when maintained over the long term, it becomes completely destructive. We could say that, at this point, the Limbic system has become oversensitive and so it’s become easier and easier to maintain this low-level stress response. This whole process is like an unconscious training for the limbic system (stress centre), to the point where our system has become wired to produce stress. The effects of this “unconscious training” could show-up in life in lots of different ways. Consistent stress can create low or inconsistent energy levels, pain and physical tension, poor sleep patterns, digestive issues, compromised immune system, along with many other physical symptoms. Stress tends to lower our resilience, causing increased emotional sensitivity and a prolonged recovery period after an emotional upset. consistent stress leads to excessive mind-chatter, catastrophic thoughts, over thinking, over analysing, increased judgements of self and others. So, in order to turn this process around, we need to retrain the limbic system, to get the needle to drop down, out of the red! We can look at all the symptoms of stress as messages from the system that things have gone out of balance, and need to change! The most effective way to do that retraining is to focus in those same three areas – Physical, Emotional and Psychological, it’s what I call the P.E.P Approach. When we focus on reducing stress in the three key areas, we’re able to reduce the stimulus on the oversensitive stress centre, allowing it to recalibrate, which shows up in a significant reduction of all the stress-related symptoms. When we learn to significantly reduce stress levels, the positive changes typically show-up in all areas of life – Health, Career, Relationships along with our sesne of Well-Being. If you’d like to find out more about this approach and how you could use it to change your situation and upgrade your life in all areas, each month I put some time aside and offer a small number of free strategy sessions. During the session I can share more on this subject and give you some advice on where to focus in your personal situation.